Natalie is currently going to university for her Bachelor's Degree in Environmental Studies. She is a vegan ecofeminist because she loves all animals equally. 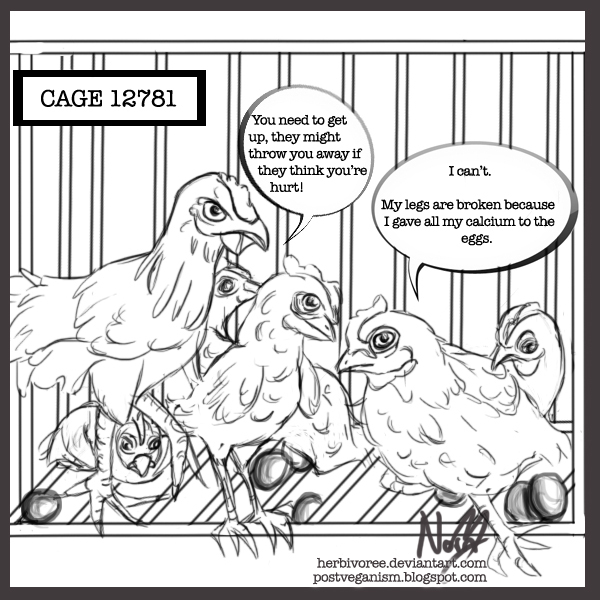 Natalie creates vegan comics to encourage knowledge sharing through a diy art medium, co-created a vegan environmental club at her university, writes a vegan blog, and volunteers for a donkey sanctuary. Follow Natalie's art at herbivoree.deviantart.com.